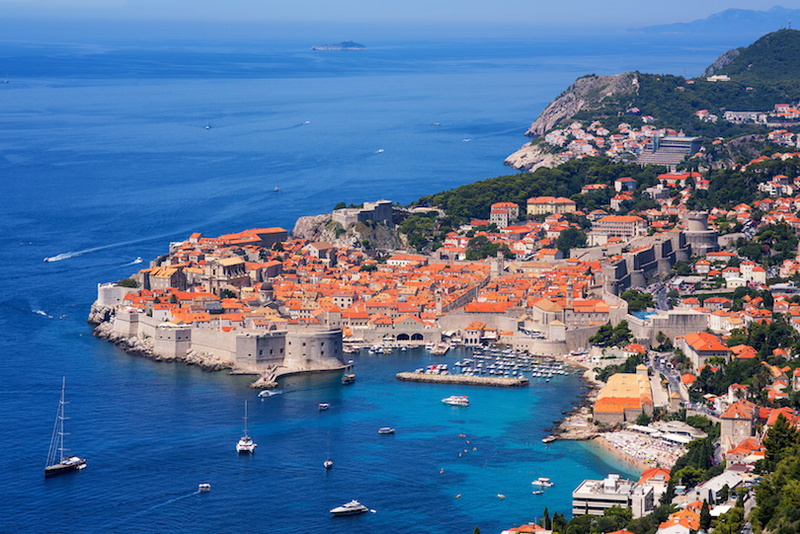 Nestled on the banks of the Adriatic Sea is Dubrovnik. Arguably one of the most beautiful and appealing destinations in the Mediterranean region, Dubrovnik is a destination that brings together the best of beach vacations and city escapes. Packed with history and architecture, the Pearl of the Adriatic is a city that truly offers something for everyone. The heart of Dubrovnik is the area known as the Old Town, and this particular district is easily navigable on foot. More attractions are in close proximity to one another, making it easy to get around and see as much as possible in a short amount of time. Outside of the Old Town, buses are the primary form of public transport. Bus tickets are around €1, but there are also 24-hour or monthly passes for travelers planning to rely on bus transport throughout their stay. 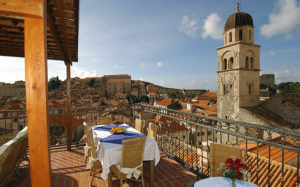 When choosing where to stay in Dubrovnik, give some thought to what you would like to get out of the vacation. For beach lovers, staying close to the water is ideal and offering magnificent views. For history enthusiasts, staying as close to the city walls and the Old Town as possible might be recommended. 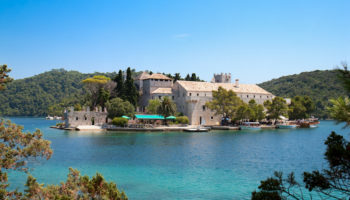 If you’re on a limited budget but you want to maximize your time in Croatia, then hotels in nearby Cavtat can be a smart and financially savvy option. Why Stay in Old Town? Traditionally, the heart of Dubrovnik has always been the Grad. Today, this district is known as the Old Town. 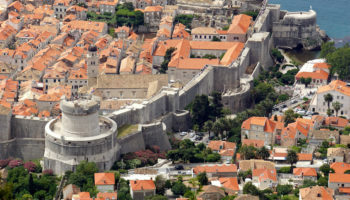 The Old Town is the easiest of the districts in the city to identify, because it is the area that is found within the famous city walls of Dubrovnik. As the name implies, this is a richly historic area, and it is where you will find the largest concentration of major historic, architectural and cultural attractions in the entire city. There is no end of the things that you can do, see and explore within the Old Town. You might start the day touring a centuries old Gothic palace follow it up with a stroll through ancient city gates and round it all out with a fantastic meal at a local restaurant. In Old Town, you have to get around on foot. If your hotel is located within Old Town, then you should be able to walk to many major attractions in under 20 minutes. To cater to so many tourists exploring the historic side of Dubrovnik, the Old Town boasts a staggering number of cafes, restaurants, nightlife options and souvenir shops. 1 Dubrovnik’s Old Harbor – Once the hub for Dubrovnik’s trading fleet, today, the harbor is mostly used by local fishermen and as a dock for charming replicas of the argosies and galleons. 2 Franciscan Monastery – This beautiful monastery with Baroque Church, houses a Romanesque cloister and the third oldest pharmacy in the world. 3 Onofrio Fountain – The fountain stairs are nowadays a favourite meeting place for local youth and where both the tourists and pigeons take rest and refresh themselves with cool water. 4 Pile Gate – A convenient starting place for your stroll through the Old Town. 5 Fort Lovrijenac – Yet another monumental and impressive stronghold, the Fort of St. Lawrence, lies outside the city walls at the western entrance to the city. 6 Rector’s Palace – Formerly the palace of the Major Council, now houses a museum dedicated to the city’s history. 7 Stradun – Take a walk and enjoy a drink at a cafe on the main thoroughfare of the old town. 8 Hilton Imperial Dubrovnik – The luxurious Hilton Imperial is housed in a building from the 1890s, located just outside the city walls. Tropical trees line the entrance to the hotel, showcasing the coastal nature of Dubrovnik without overshadowing its heritage. Many of the rooms feature serious upgrades like sea views, separate living rooms and private balconies. You’ll love the upscale amenities at the Hilton Imperial, which include things like a ballroom, conference rooms, a fitness facility, a spa, an indoor pool, two bars and a wonderful formal restaurant. 9 The Pucic Palace – If you have always wanted to stay in a palace, now is your chance. The Pucic Palace truly is a palace, and one that was constructed in the Baroque style back in the 18th century. 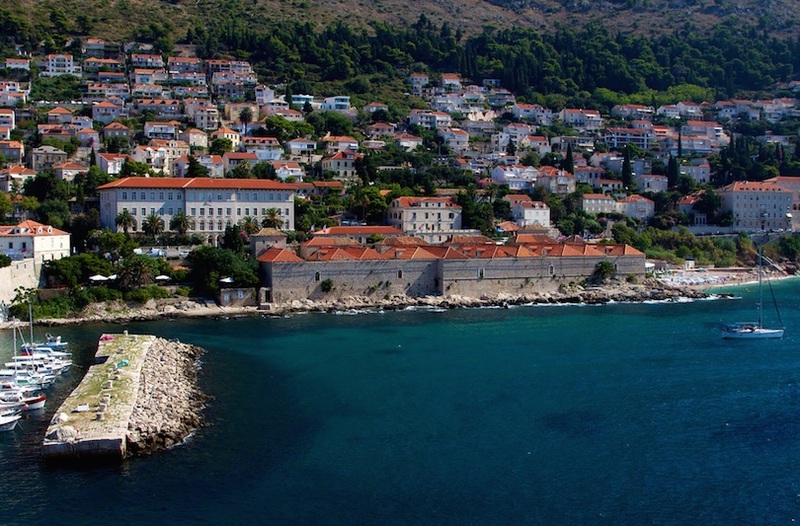 Just steps from the beach, the hotel puts you close to the best attractions of Dubrovnik. Everything inside the Pucic Palace is top of the line, from the hand woven rugs in rooms to the rich oak hardwood floors and the local artwork on the walls. Marble staircases make a serious impression when you enter the hotel, and at night you can sip fine wine or whiskey from the dark and romantic wine bar. 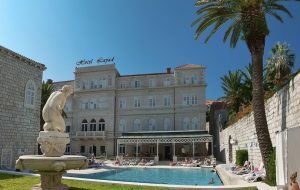 10 Hotel Stari Grad – The Hotel Stari Grad is the definition of boutique accommodation. There are just eight rooms, which means you’ll have a unique experience while in Dubrovnik. The hotel is located in a building from the 16th century, but the rooms boast a range of modern features. You’ll appreciate the flat screen televisions in every room and the stocked minibars for all guests. 11 Karmen Apartments – There is a common misconception that affordability in Dubrovnik means sacrificing quality or culture. Karmen Apartments proves that completely wrong. With views of historic attractions from the windows, Karmen Apartments helps you immerse yourself in local life. While a budget-friendly option, this accommodation choice is within a grand private home belonging to the Van Bloemen family, and you’ll have access to kitchenettes for easy food preparation. Since Old Town is undeniably a favorite place for international travelers, it can feel crowded, busy and inauthentic at times. In addition, Old Town hotels located within the city walls are more expensive than choices further outside the city walls. 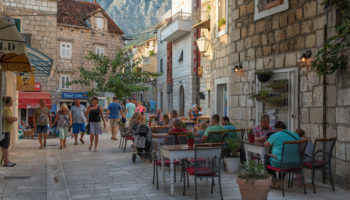 Souvenirs and restaurants are equally pricey, particularly when it comes to those businesses who are catering directly to tourists visiting Dubrovnik. Also note that while the Old Town has a varied assortment of private rooms and apartments for rent, there are only a few hotels within the city walls. And remember, there’s no parking in the Old Town so you’ll have to drag your suitcases through town. 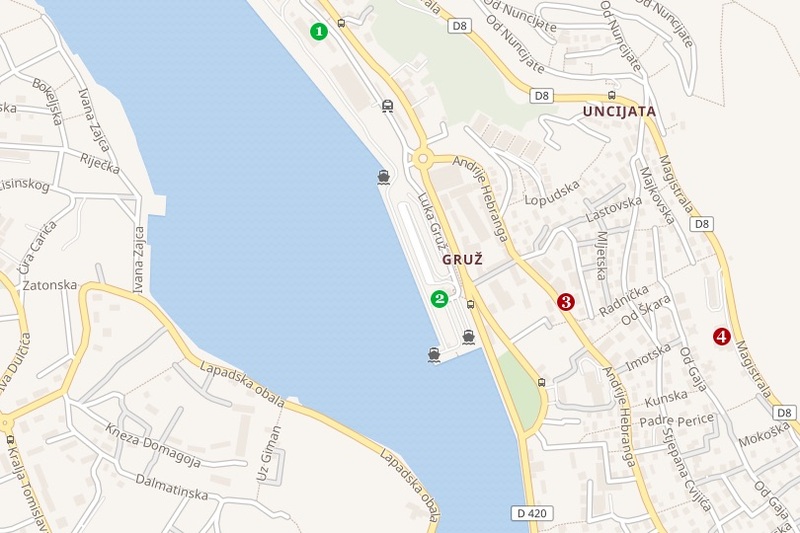 Ploče iza Grada is Croatian for Ploče Behind the City, which is exactly where you will find the neighborhood of Ploče. This district is adjacent to the eastern city walls, putting it just a short walk from the attractions of the Old Town. Ploče is a desirable place to stay because it blends the two best things about Dubrovnik: Coastal views and historic city charm. From many of the hotels in Ploče, rooms boast views of the ancient city walls as well as the blue waters of the Adriatic and the lush greenery of the nearby island Lokrum off in the distance. 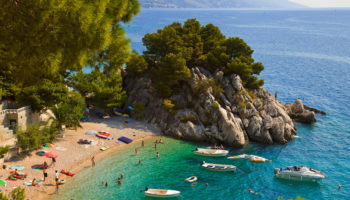 For this reason, Ploče is home to many of the most upscale hotels in Dubrovnik, and you won’t have trouble finding lavish resorts within the area. You’ll have two parts of Ploče to explore if you’re staying in this part of the city. The first is the bustling historic section next to the city walls, where there are charming cafes, souvenir shops and several historic attractions. On the other end of Ploče is Banje, the city’s biggest public beach. Here, you’ll be able to swim, relax on the sand or dine at the beach clubs that line the coast and cater to travelers as well as locals eager to indulge. 1 Banje Beach – A pebble beach with an amazing view of the city walls and the island of Lokrum. 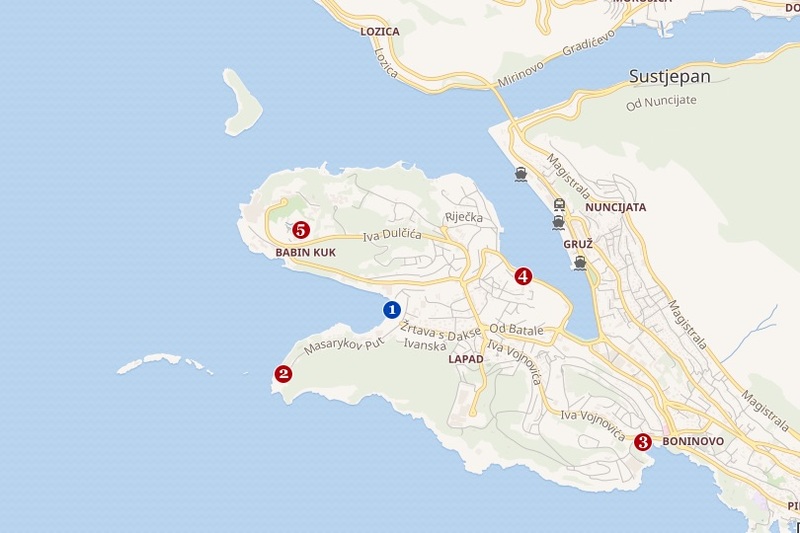 2 Dubrovnik Cable Car – Takes you to Mountain Srđ in less then 4 minutes. There is a fortress on top which contains a small museum describing its history. 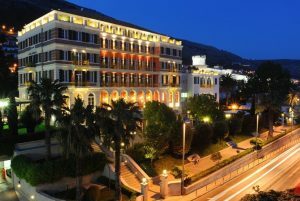 3 Hotel Excelsior – Dubrovnik’s Hotel Excelsior is a world-class accommodation choice nestled in a royal villa built in 1913. Everything in the hotel is upscale, including the spacious rooms, many of which offer private living spaces, sea views and balconies. Whether you want Thai cuisine, international fare or Croatian dishes, you can have it at one of the three seaview restaurants at the hotel. 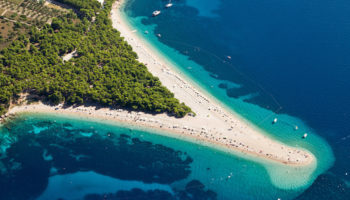 There is also a beautiful private beach to unwind and make a splash without the crowds of Dubrovnik’s public shorelines. 4 Grand Villa Argentina – Perched on a cliff overlooking the Adriatic Sea is Grand Villa Argentina. This upscale, luxury hotel is surrounded by terraced gardens, and it boasts a private saltwater pool as well as a private beach. The rooms offer contemporary amenities, but still plenty of cultural, regional charm to remind you that you’re staying in the heart of Croatia. Two fantastic restaurants, two elegant bars and an impressive fitness center round out the incredible appeal of the Grand Villa Argentina. 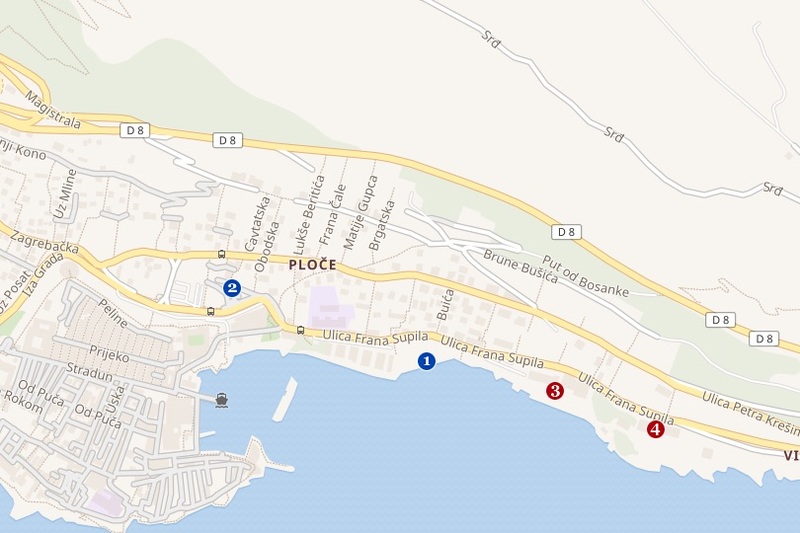 The area of Ploče closest to the Old Town is an affordable alternative to staying within the city walls, but beachfront hotels on the other end of the district can be expensive. Travelers on a budget might be shocked by the prices of accommodation near Banje, not to mention the touristy atmosphere near these international resorts. Just west of the city and its Old Town is the Lapad Peninsula. On the peninsula is Lapad, the bay area that is often referred to as Uvala Lapad in order to distinguish it from the peninsula as a whole. Lapad is the ideal place to stay if you’re most interested in enjoying the natural beauty of Dubrovnik and you hope to spend as much time as possible outdoors. The beachfront along the bay is the biggest attraction for many, and this waterfront section is where you’ll find a concentration of upscale hotels. 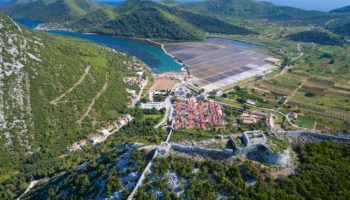 However, Lapad’s accommodation is still much more affordable than the options in Old Town or Ploče, making it a great place to splurge without blowing your budget. Although Lapad is removed from the historic attractions of the Old Town and the interior of the city walls, public transport makes it easy to head into town. Buses stop frequently and take just 15 minutes to get from Lapad to the Old Town. Above the beach, Lapad becomes what it known as the lungs of Dubrovnik: A hilly, wooded area with exceptional views. 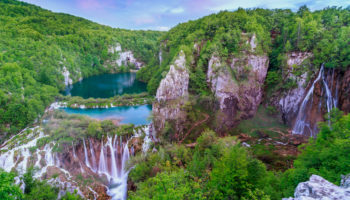 There are miles of hiking paths here above the coast, making it a clear pick for those who enjoy photography, outdoor recreation and making the most of the warm Croatian climate. 1 Lapad Beach – A car free, sandy beach area on the Lapad Peninsula, where you can relax in the shade of the numerous trees. 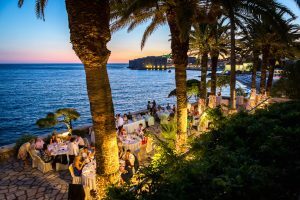 2 Hotel Dubrovnik Palace – The Hotel Dubrovnik Palace is located right on the Adriatic Sea, promising excellent views and access to some of Dubrovnik’s best beaches. This luxurious accommodation choice is also strikingly contemporary thanks to white, modern design touches, private balconies, free wifi and 24/7 room service. Foodies love this hotel because of the dining options, which include a beachfront restaurant, a swim-up bar and a healthy eating cafe on the 10th floor. 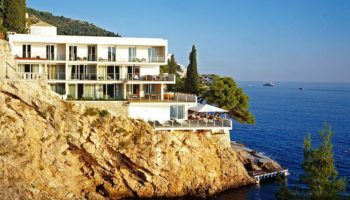 3 Hotel Bellevue Dubrovnik – The cliffside Hotel Bellevue Dubrovnik is a modern hotel with views over the blue waters of the Adriatic. The facade is stunning, thanks to its glass-fronted balconies that give guests even better vistas over the sea. The rooms are upscale, boasting hardwood floors, designer toiletries and large flat-screen televisions. The private beach will quickly become your favorite part of the hotel, but you can also enjoy laps in the heated indoor swimming pool. 4 Hotel Lapad – Housed in an ornate Victorian building, the Hotel Lapad is a beautiful structure. At night, spotlights and sconces illuminate the intricate details that wow guests as well as architectural enthusiasts. 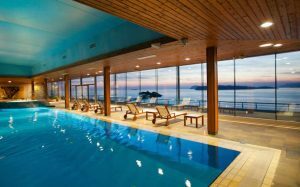 Amenities at Hotel Lapad are impressive, and you’ll love the complimentary breakfast buffet, the free nightly entertainment, the outdoor pool and the restaurant that boasts sea views. 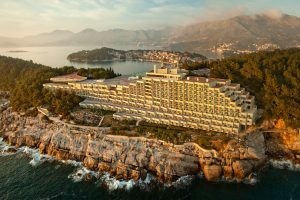 5 Valamar Lacroma Dubrovnik – The large, sleek building known as the Valamar Lacroma is a mid-range option that won’t blow your budget, but will certainly tick all the boxes when it comes to a fantastic stay. Rooms are well equipped with wifi, safes, minibars, kettles and flat-screen TVs. Breakfast is free for all guests, and there are two additional restaurants and four bars for ample dining choices. 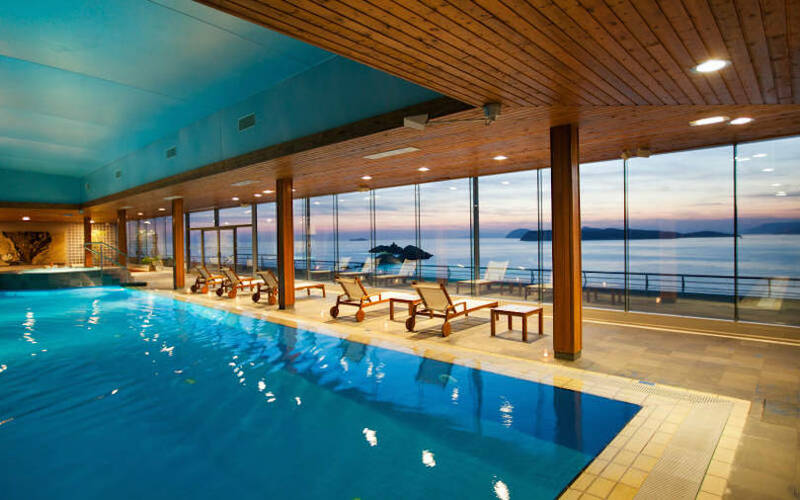 Spend the day kicking back at one of multiple swimming pools, at the fitness facility or at the spa. Many of the hotels and accommodation choices in Lapad are modern, and at times it can be hard to tell that you’re even staying in Dubrovnik. Along the beachfront of Lapad Bay, there can be some serious nightlife. This may not be ideal for those who plan on early starts in the morning, nor is it recommended for families with young children. Thankfully, staying just off the main tourist beach stretch of hotels can offer greater peace and quiet. 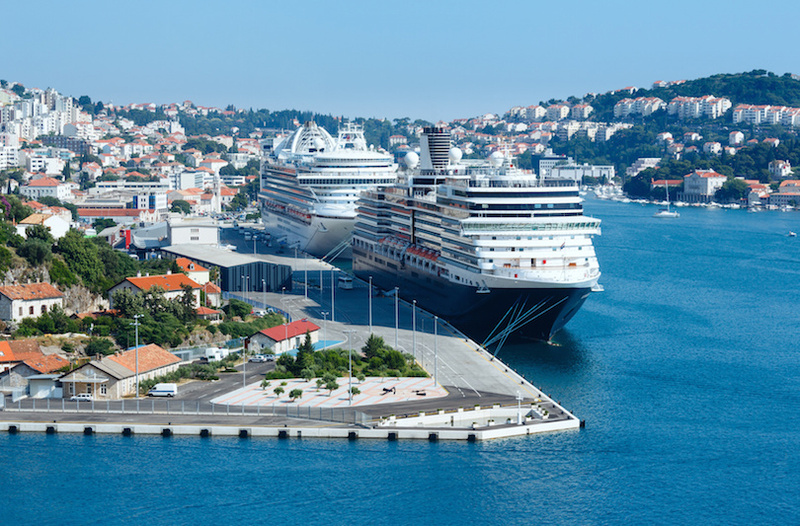 Gruz is the main port of Dubrovnik, and it is the first stop for many visitors who arrive on cruise ships exploring the Adriatic and the Mediterranean. Gruz is located just north of the Old Town, making it a convenient part of the city to explore. For the most part, Gruz is residential, allowing you to see what Dubrovnik is truly like without the crowds of tourists. As can be expected from a more residential area, Gruz offers lower prices on everything from restaurants to clothing shops. Accommodation, too, is more affordable in Gruz than in other parts of Dubrovnik, and there is a wider range of low-cost options like budget hotels and hostels. Gruz is known for its spectacular views over the water as well as its attractive marina. This part of Dubrovnik is the ideal place to stay if you’re hoping to do some island hopping during your visit. The Elaphite Islands are within view from Gruz, and it is easy to arrange ferries for trips throughout the region. 3 Berkeley Hotel – Despite the affordable rates at the Berkeley Hotel, the location still feels like an upscale resort. Rooms are sleek and contemporary, some of which include balconies, separate sitting areas and kitchenettes. An onsite bar serves as a popular place to meet friends and mingle, and there is even a spa on the premises for luxury and pampering. The 24-hour concierge and front desk can help with late-night check-ins or make recommendations for dining, nightlife and sightseeing through Dubrovnik and the surrounding areas. 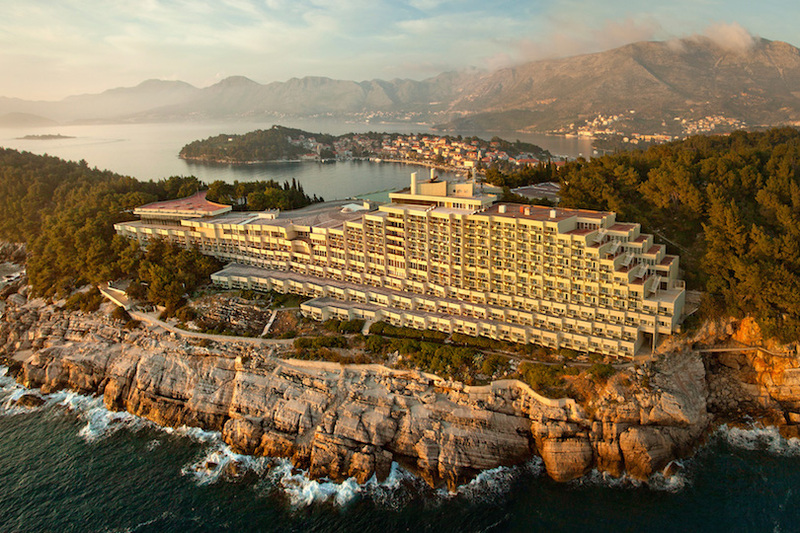 4 Hotel Adria – The Hotel Adria is Dubrovnik represents the Mediterranean atmosphere, thanks to a traditional white exterior and shingled roof. There is also plenty of modern elegance, thanks to a restaurant boasting floor-to-ceiling glass and spectacular views over the harbor. The rooms are simple but sophisticated, and guests will have access to amenities such as the onsite bar, the outdoor pool, the business center and the spa. Although Gruz is close to the most popular attractions in Dubrovnik’s Old Town, this residential district offers very little of historic interest to visitors. 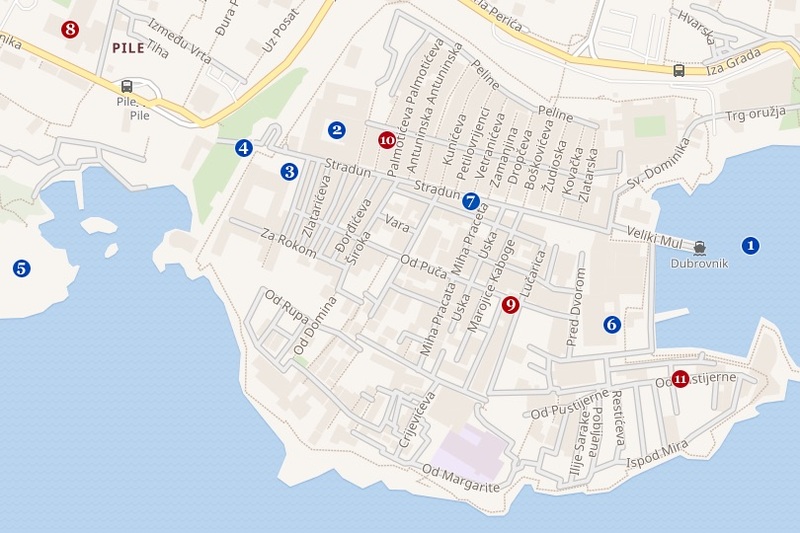 If you plan on doing a lot of sightseeing, you may find it more convenient to stay in the Old Town or in Ploče. While hotels and restaurants can be more affordable in Gruz, they are also typically less attractive and upscale than beachfront or city-center establishments. If you’re hoping to experience the very best that Dubrovnik has to offer, staying elsewhere in the city may make that objective more convenient. Cavtat is a charming Adriatic city located south of Dubrovnik. Although it is entirely removed from the city, it is still a popular place to stay. 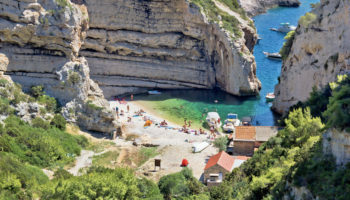 Part of its appeal is its proximity to the Dubrovnik Airport. While the Dubrovnik’s Old Town is a 30-minute drive from the international airport, Cavtat is just five minutes away. 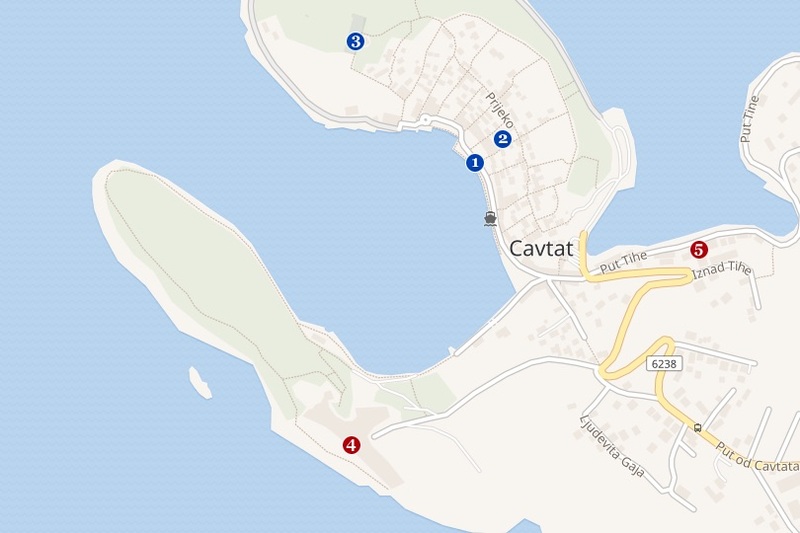 There is more to Cavtat than just convenience for travel, however. This city has a history dating back for more than 2,000 years, and several historic churches and cathedrals still stand in the city center. 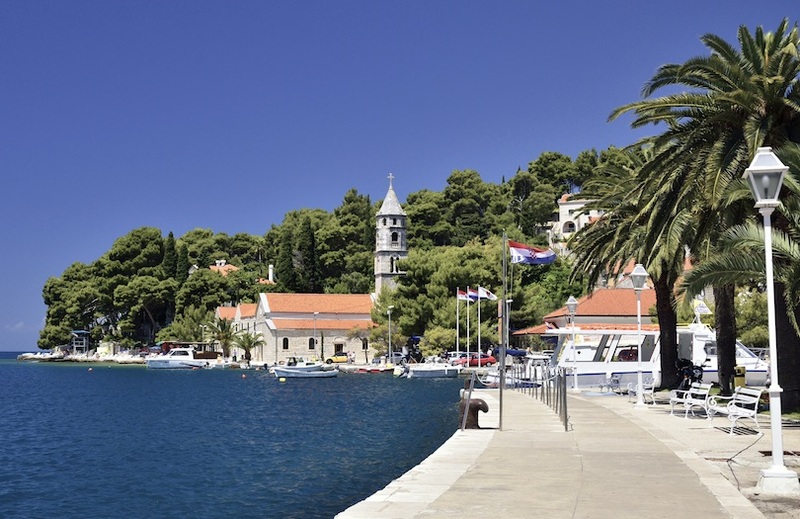 Along Cavtat’s waterfront, there are dozens of eateries, cafes and bars where you can sit, relax and watch the natural scenery unfold in front of you. 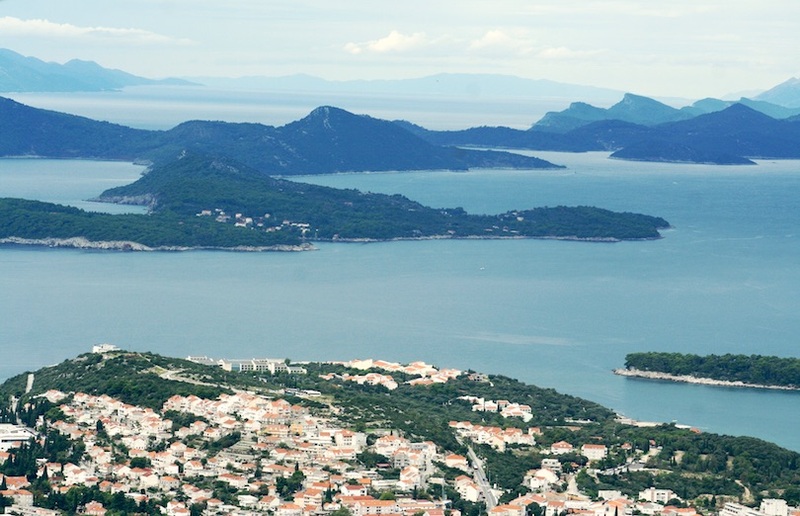 By and large, accommodation in Cavtat is cheaper than in Dubrovnik, incentivizing this destination for vacation travelers. If you want to visit Dubrovnik for the day, there are frequent buses as well as ferries that can take you into the city quickly. 1 Rector’s Palace and St. Nicholas Church – This Renaissance mansion houses the Baltazar Bogisic Collection. The Baroque building next door is the St. Nicholas Church with its unusual wooden altars. 2 Vlaho Bukovac House – The home where the Croatian painter Vlaho Bukovac grew up, and to which he returned later in his career to create his ideal artist’s studio. The house itself is now a museum. 3 Mausoleum of the Račić family – Erected in 1921, the mausoleum is the final resting place of a prominent Cavtat shipping family. 4 Hotel Croatia Cavtat – With views of the Adriatic as well as the surrounding mountains, the Hotel Croatia Cavtat is a nature lover’s dream. Most rooms have balconies, letting you soak in the vistas in privacy, and perhaps with a drink in hand. Although you could make the most of 24/7 room service, you can also dine at one of the five restaurants on the premises or just grab a snack by the outdoor pool or the two private beaches. Pamper yourself at the salon, the spa or the Finnish sauna after a day of fun and sightseeing. 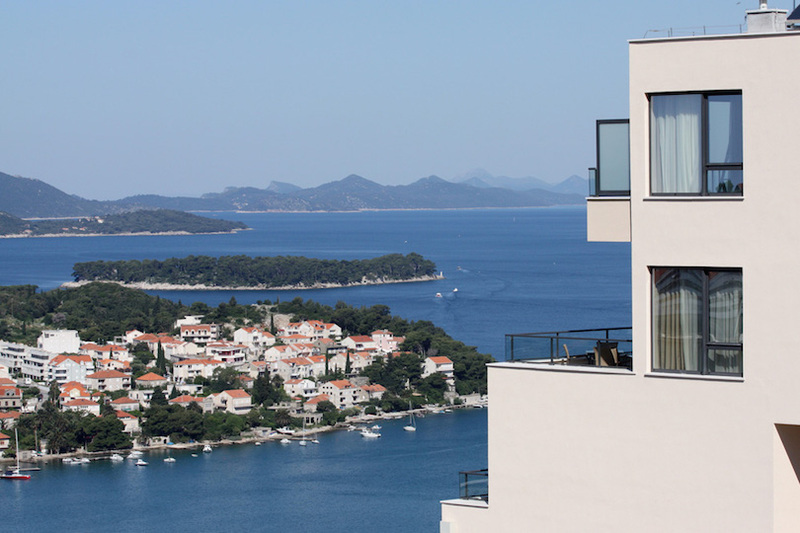 5 Hotel Cavtat – With air conditioned rooms, balconies overlooking the harbor and a swimming pool right on the rooftop, the Hotel Cavtat only feels expensive. In reality, the accommodation choice is affordable, making it ideal for budget travelers. Rooms include satellite television and comfortable beds, and an a la carte restaurant conveniently serves up fresh seafood and international cuisine. The front desk is open 24 hours a day, and staff are happy to help you arrange sightseeing tours or adventures throughout southern Croatia. Cavtat certainly has a lot of appeal, but it still can’t compare to the historic and cultural significance of Dubrovnik. 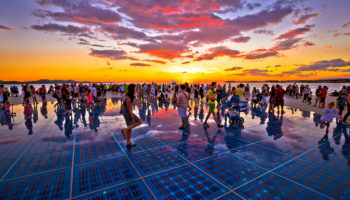 Since it is a lesser known destination along the coast, there are fewer crowds, but there are also fewer restaurants, museums, galleries and upscale hotel choices. For many, the idea of traveling 30 minutes by bus just to get to the Old Town of Dubrovnik is unappealing. Unless you’re eager to escape the crowds, you have an early morning flight from the airport or you’re on a strict budget, it may be preferable to stay closer to Dubrovnik than Cavtat. I Love Dubrovnik. Thanks for this awesome article.